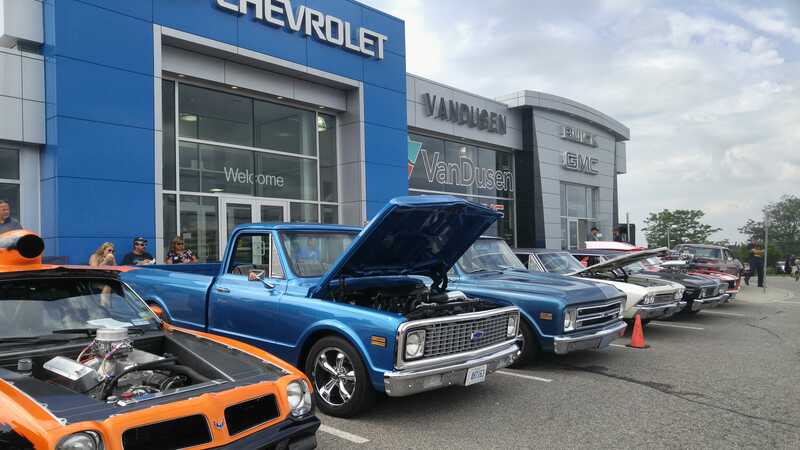 The 4th annual VanDusen Charity Car Show & Family Event was another success! 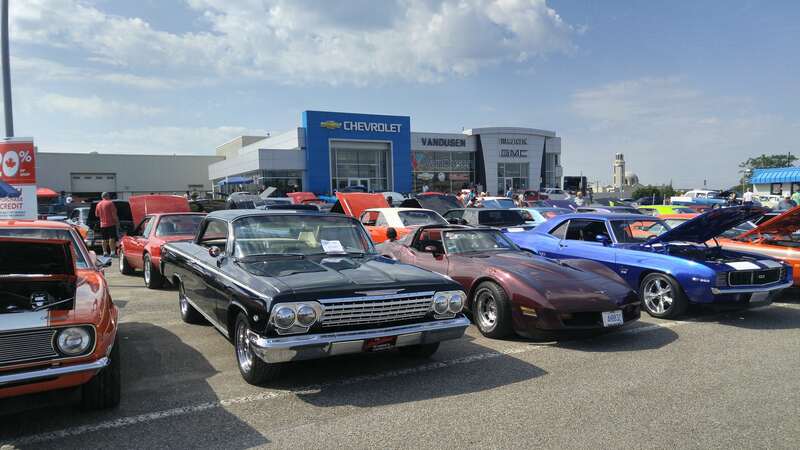 With the donation to enter our show car, donations from all of our many sponsors, and a generous donation from VanDusen Chevrolet Buick GMC, we were able to raise over $6,000 for Big Brothers Big Sisters of South-West Durham. It started off as a perfectly hot summer day with clear skies. But that ended around noon. Then the rain began slowly and the cars started to leave one by one . 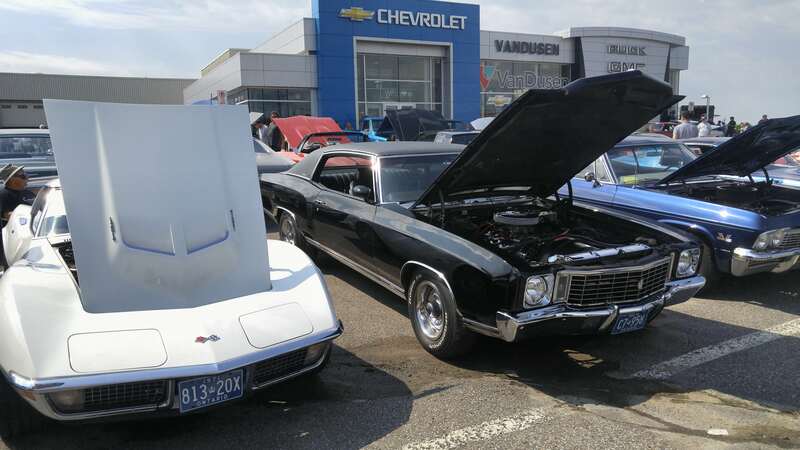 Thankfully, we had a few good sunny hours for everyone to share their prized cars & trucks, and for the spectators to check out and enjoy them. It was a bit rushed at the end, but we were still able to have an abbreviated showing and present the many awards. 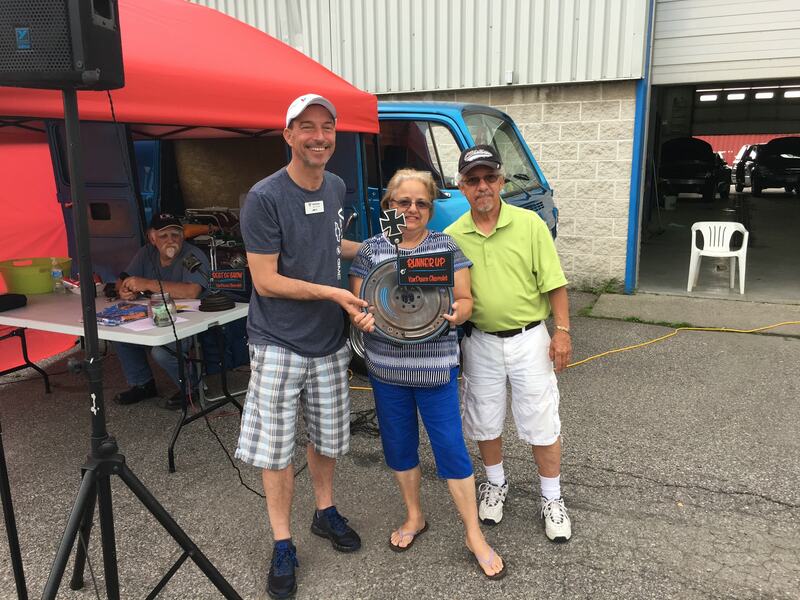 Thank you to all the show entrants of classic and unique cars! 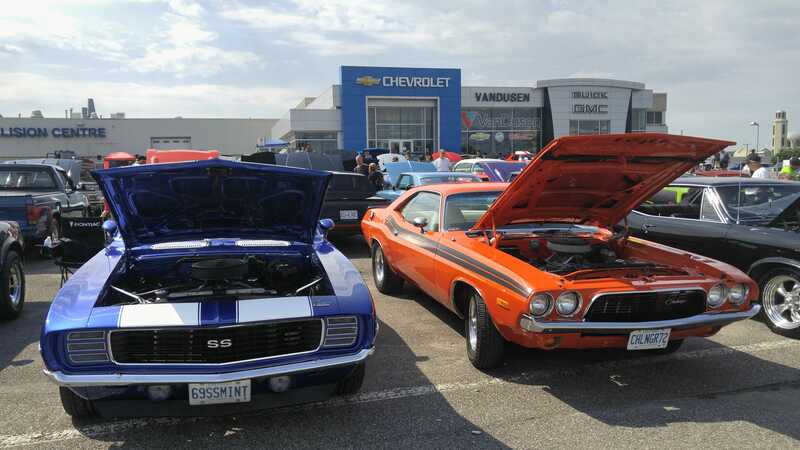 Thank you for taking the time and energy to prepare and bring your cars out to our show. We appreciate you sharing your passion with all of us. 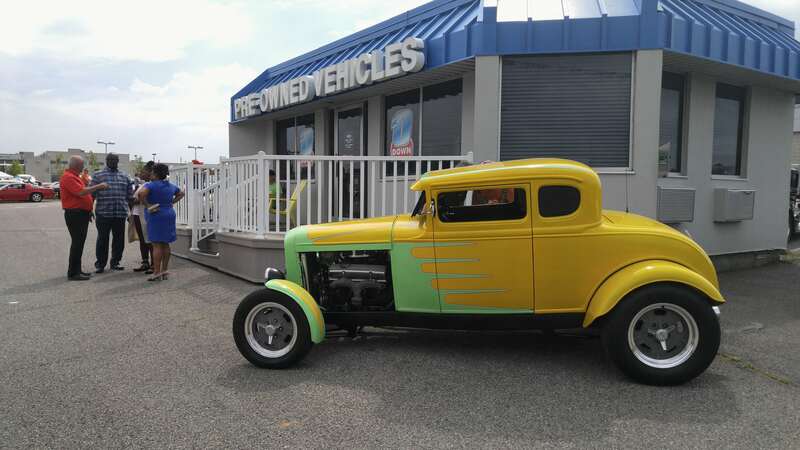 It is always a beautiful sight to see all of your vehicles completely fill the front lot of our dealership.. 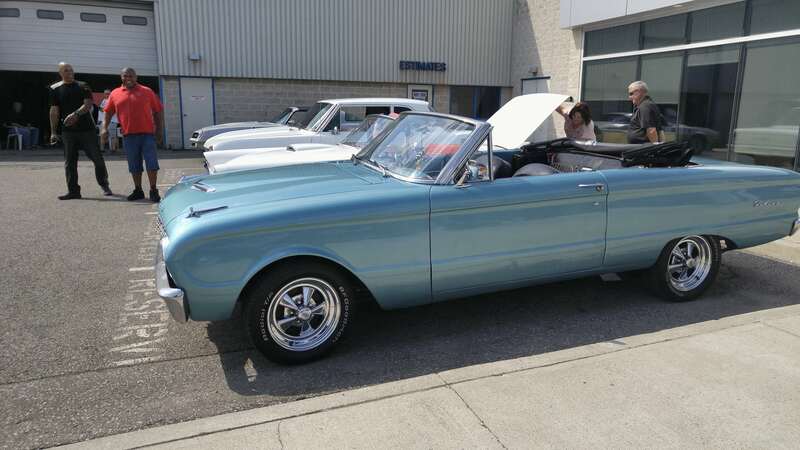 Without your Cruisers, Hot Rods, Trucks and Muscle Cars, there would be no show. Thank you to our twenty plus sponsors. 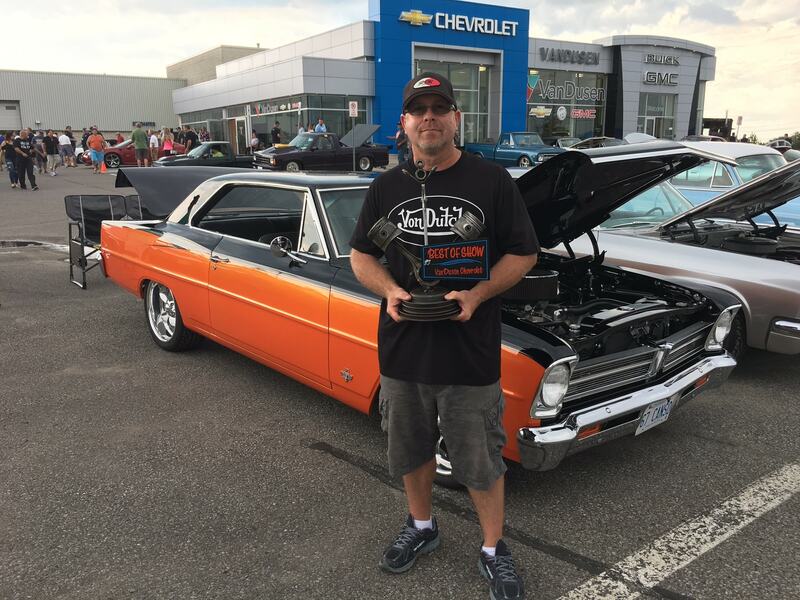 A special thanks to our title sponsors: Karbelt Speed & Custom Pickering, Hot Rod Swag, Golden Leaf Automotive, Royal Bank of Canada, and Durham Region Classic Mustang Club, who also assisted with show car parking. 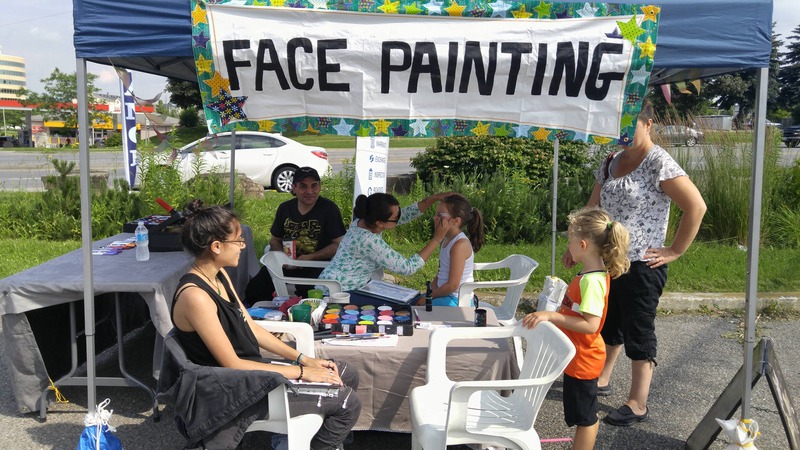 You really brought the community approach to our event. 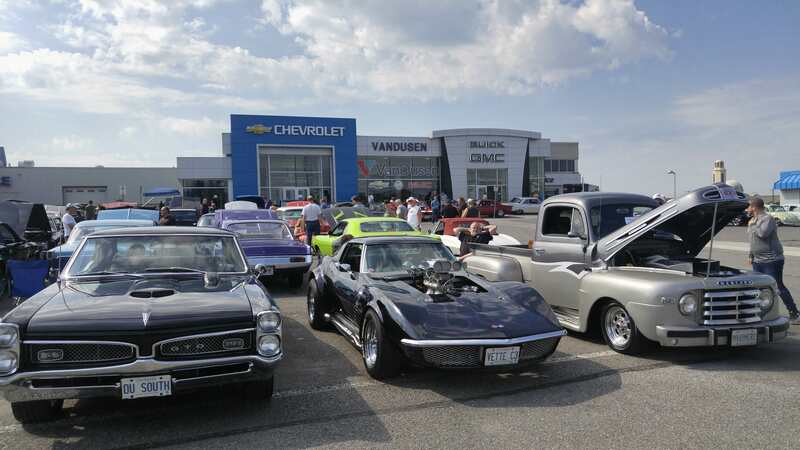 A special thanks goes out to all of the Team at VanDusen Chevrolet Buick GMC! Thanks to all of you, and your families, for volunteering your valuable time to help make Our Show a success. You helped out in moving over 200 vehicles ‎Saturday, and then back Sunday. 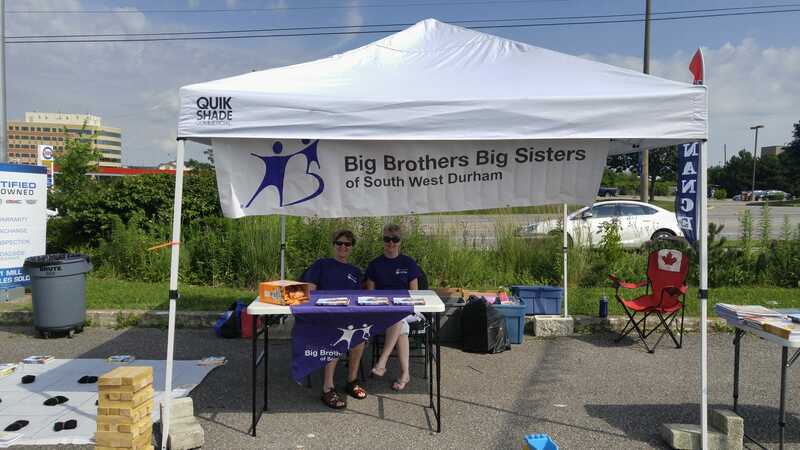 You helped in handling the registration, tickets sales, parking, directions, manning booths, and mingling with the crowd. It a was truly a Team and community event.